I've wanted to show German shepherds since I was 9. In my teenage years I read Dog Fancy while my friends read Tiger Beat. (OK, I read that too!) 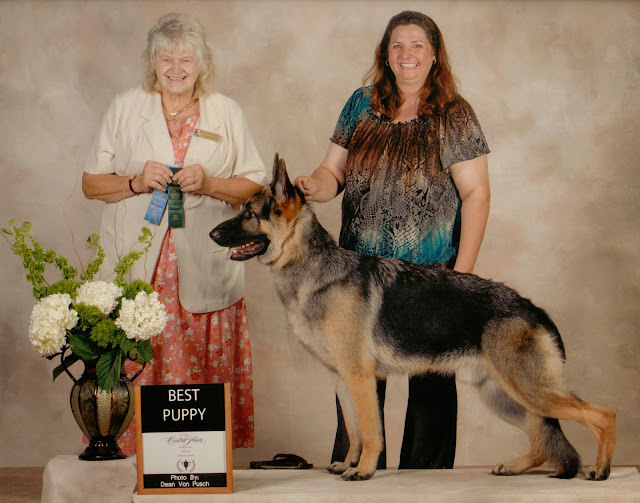 It was 35 years before I finally bought my first AKC dog, Zente's Jedi Mind Trick, and when he was 11 months old I worked up the nerve to show him. We got a blue ribbon. I couldn't have been happier if I'd won the lottery. Dreams come true -- sometimes they just take a while.